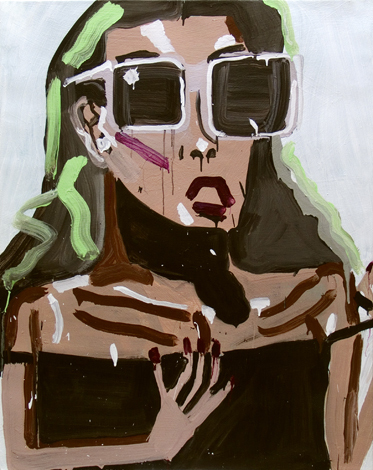 Katherine Bernhardt,” Naomi”, acrylic on canvas 60 x 48 in. Katherine Bernhardt (Born: 1975 in Clayton, Missouri. Lives and works in Brooklyn, NY). She recieved her MFA from School of Visual Arts in New York, and her BFA from the School of the Art Institute of Chicago. Bernhardt is an international well known artist. She has had a numerous exhibitions and been presented at art messes. Katherine bernhardt is especially known for her woman based portrait of glossary women on an acrylic canvas. 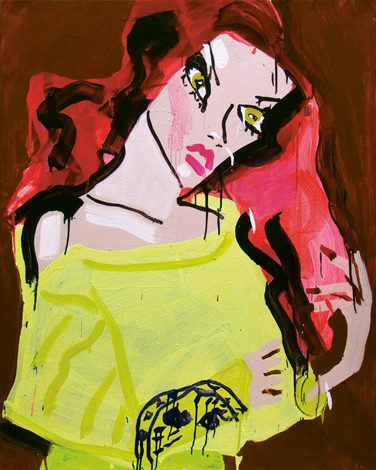 Her paintings have a sort of expressionistic and abstract touch, using symbols and female stars. 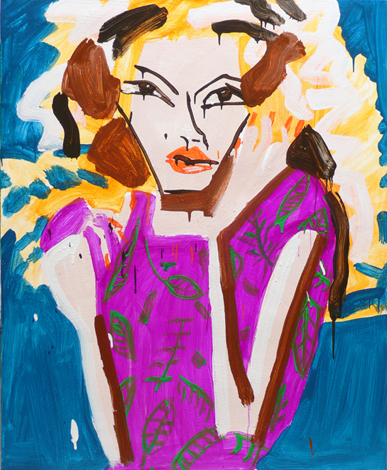 Katherine Bernhardt “,Dior darling” 2011, acrylic on canvas 60 x 48 in. When CHANEL launched their J12 watch in 2007, Kathrine Bernhardt got to make a store installation for the occation. She has also worked with several fashion institutions. 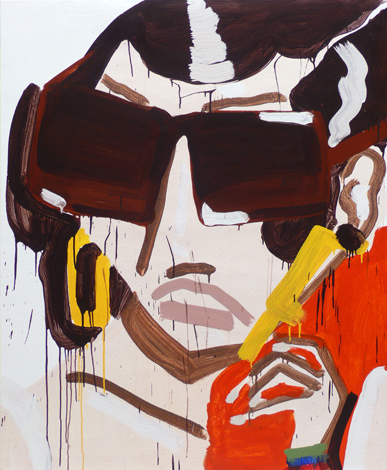 Katherine Bernhardt, “Prada yellow earrings” 2011, acrylic on canvas 60 x 48 in. 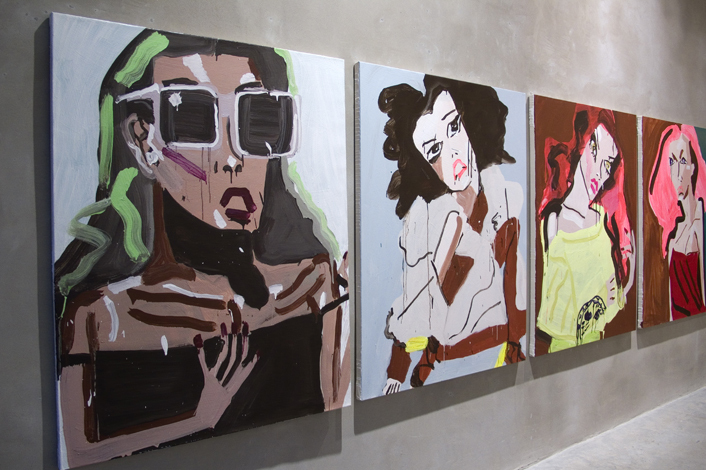 Katherine Bernhardt, “Rihanna, I’ve loved and I’ve lost”, 2011, acrylic on canvas 60 x 48 in.